How does tiny Appalachian State compete with the big boys of Division I college football? Three words: protein, lifting, protein. If you think of anything when you hear the words “Appalachian State football,” it’s probably that wild game in 2007 against Michigan. In case you don’t remember, here’s a quick refresher: The App State Mountaineers—hailing from the NCAA’s lower rung of Division I football, the Football Championship Subdivision (FCS)—traveled to the Big House in Ann Arbor, MI, and, in front of more than 109,000 fans, shocked the fifth-ranked Wolverines with a thrilling 34–32 victory. The game landed App State on the cover of Sports Illustrated, which later dubbed it “The Greatest Upset of Them All.” In short: It was a historic moment. But today, the App State football team is much more than a one-moment program. The Mountaineers won three straight FCS national championships from 2005–07. Then in 2014, the squad jumped to the NCAA’s Football Bowl Subdivision (FBS), where all of college football’s biggest programs reside. The next season, the Mountaineers finished 11–2 and won their first-ever bowl game. In 2016, the team went bowling again, defeating a Toledo squad that included a future NFL star. At press time, the Mountaineers are bowl-eligible and appear headed to yet another post-season game. So you might be wondering: How does a newly promoted football program representing a school in a tiny mountain town (population of Boone, NC: about 19,000) enjoy so much success in the ultra-competitive world of Division I college football? The answer, in large part, has to do with how it trains—and feeds—its players. Which brings us to App State strength and conditioning coach Mike Sirignano. When Sirignano arrived at App State in 2015, he inherited a bit of a mess. Next, Sirignano started establishing a more disciplined, physical, competitive culture in the weight room. App State strength and conditioning coach Mike Sirignano's mass-gaining prescription. But the biggest change Sirignano implemented was on the nutrition side. While at South Carolina, he had helped create the first football-only college nutrition program in the country, so he knew he wanted upgrades. To aid his cause, Sirignano staffed up, boosting the athletic department’s roster for strength and nutrition from two employees to nearly 20. One of those additions is Marisa Faibish, director of performance nutrition, who previously helped fuel soldiers in the U.S. Army Special Forces. 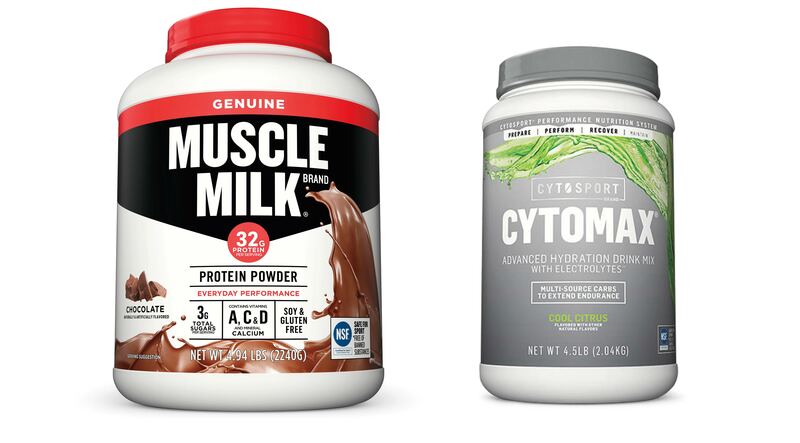 The daily ritual goes like this: In the morning, players pick up a snack bag that contains Muscle Milk protein bars and shakes, almonds, Greek yogurts, and peanut butter. They’ll eat a protein snack before they lift, then afterward they’ll replenish with protein and carbs. They eat breakfast, snack on protein between classes, eat lunch, and down a CytoMax hydration drink before practice and a Muscle Milk protein shake afterward. Then there’s dinner and a final snack before bed. 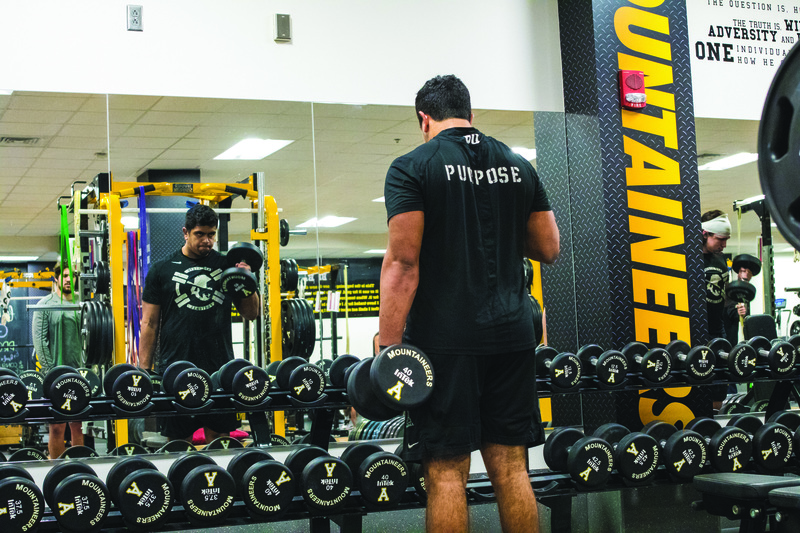 All told, an App State lineman could be consuming anywhere from 4,000 to 8,000 calories per day, including as much as two grams of protein for every pound of body weight. The commitment to nutrition is paying off. Players are dropping a lot less weight during pre-season camp, says Hillman, and over time, App State’s guys are adding the size they need to compete with deeper-pocketed, more nationally known programs. It’s the way it has to be for a school like App State, the coaches say: Recruit undersized, overlooked athletes and bulk them up. Of course, the ultimate goal of all this player development is that it translates to the occasional jaw-dropping upset. And in truth, it has been a while since the Mountaineers pulled one off. This season they came close, suffering a brutal one-point loss to Wake Forest. In 2016, they took a ranked Tennessee team to overtime. But who knows—next year they open the season against Penn State. Like the Michigan game in 2007, it will pit them against a powerful Big 10 team, inside a 100,000-plus stadium filled with rabid, opposing fans. If the Nittany Lions are smart, they won’t underestimate their opponent. Want to ignite your workouts and add muscle mass to your frame—the clean, safe way? Try products from these brands.